If you’re looking for information about how to create your own commercial real estate website, visit Commercial Real Estate Website Design. For those in the commercial real estate industry, there are thousands of commercial real estate listings websites to advertise on, that will help you reach your target audience and generate interest. 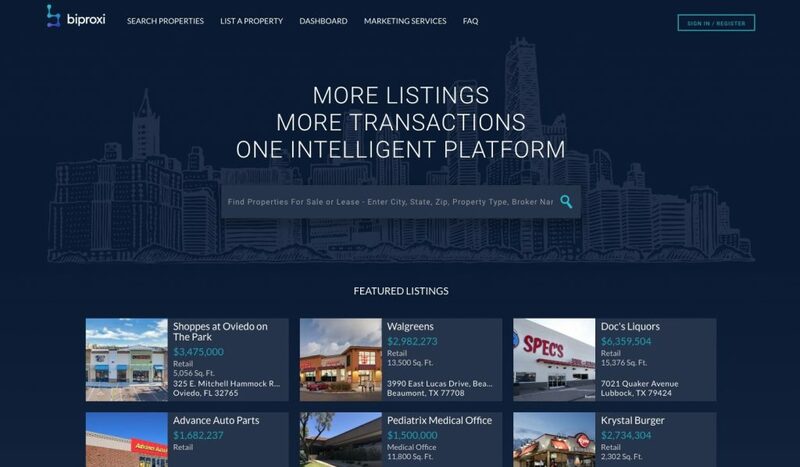 Combined with traditional marketing tactics and other advertising channels, the Internet is an incredibly powerful tool, and among the most useful components online is the collection of the best commercial real estate listings platforms you should be using. Not all of these sites are created equal, however. Besides the costly goliaths like Costar and LoopNet, there are a number of good alternatives to find commercial real estate with different pricing and advertising options you may want to consider. 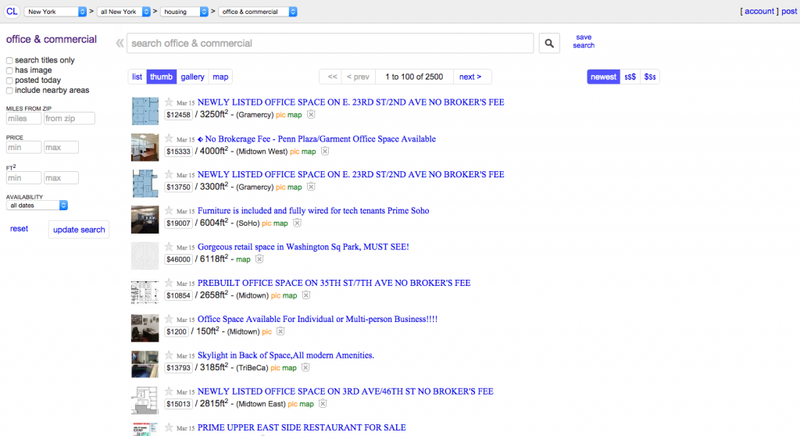 There are even a few free commercial real estate listings options. To help you choose the best platform for marketing your commercial real estate listings, we’ve collected a list of some of the top players to help you make an informed decision next time you want to spend your advertising dollars. Be sure to check back as we continue to update this list with more relevant sites. Bonus: Download a free PDF list that contains 27 of the top Commercial Real Estate listing sites. RealMassive is commercial real estate’s open and connected digital marketplace, covering nearly four billion square feet of office, industrial, and retail space. The Austin-based SaaS firm provides CRE professionals with critical insights into the performance of their markets and portfolios while streamlining their marketing efforts. Users can list, search, and share data sets through an intuitive platform optimized for performance analytics, digital marketing, and inventory management. 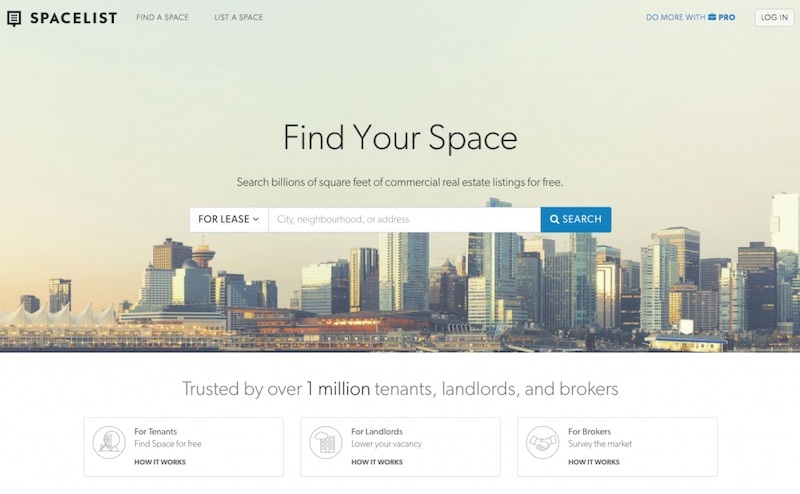 Based out of Canada, Spacelist has 20,200 properties available from across the country in a number of commercial categories including office space, retail, light industrial, and multi-family. A Standard account on the site is free and allows for listings and inclusion in the free search tool. For the Pro account, the cost is $49.95/month and you’ll get enhanced listings, promoted listings, and enhanced search placement. Brevitas is a real estate collaboration and workflow platform that offers a marketplace for private, open, and off market property listings. The company has a membership model that requires a sign up to browse properties. QuantumListing is a nationwide commercial listing platform. Their listings are not kept behind a paywall, so every listing is searchable by anyone with an internet connection. Brokers and owners can post an unlimited number of listings for the same price. Individual memberships cost $79.99/year. Enterprise membership is designed for a brokerage office with multiple agents and costs $899.99/year. All listings are treated equally, and all are shared to their social media accounts to increase the searchability on the web. QuantumListing allows following agents for easy access to their listings and favorite individual listings. In 2018, they’ll be introducing a new network feature for commercial broker associations and multi-office brokerages. CommercialCafe is a commercial real estate information services provider with nearly 45,000 listings available. Listings include all commercial real estate property categories like commercial office space, industrial space, retail space for lease and for sale. It’s free for brokers to add listings and there’s a paid advertising model for property owners. Biproxi is a subscription-free listing, discovery and transaction platform that uses proprietary tech to verify listings, buyers, sellers and tenants. It includes a free commercial multiple listing service, marketing platforms for sales and leasing, and a suite of customized marketing tools – all geared toward improving the transaction process for middle-market CRE brokers, buyers, sellers and tenants. The commercial listing and data vault portion of Biproxi is completely free. It allows buyers and tenants to find properties that interest them and reach out to the brokers. Besides free listings, they also provide data analytics, prospect contact information, and the ability to receive offers. 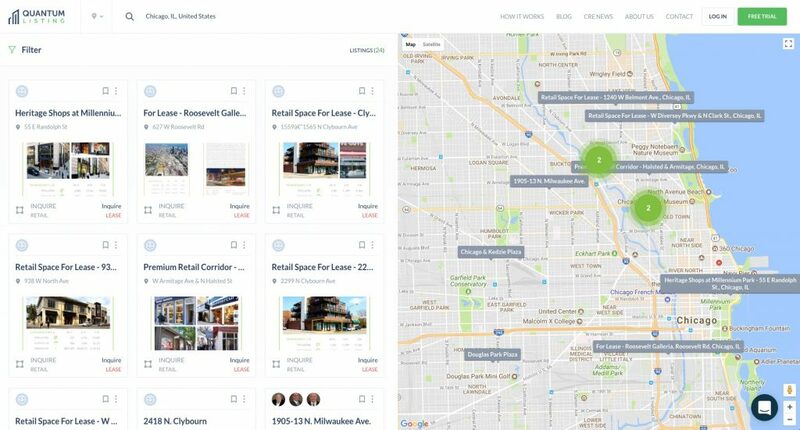 LoopNet is one of the most recognized CRE search engines and offers a number of different types of commercial property including office, multifamily, industrial, retail, land, agricultural, hotel & motel, and residential income properties. Their database is among the largest with 500,000 total listings and 5.1 billion square feet for lease around the globe. Their listing advertising include different plans, Premium, Gold, Platinum, Diamond. CREXi is a commercial real estate marketplace with over48K+ listings across all major asset classes in every state that simplifies transactions for brokers with a suite of tools to manage the entire process from listing to closing. Digsy is a free commercial real estate listings website to find Office Space, Industrial Space, and Retail space for sale or lease. Digsy also provides searchers with complimentary personal assistance from seasoned industry professionals across various reputable brokerages like Lee & Associates, Colliers International, NAI Capital, Cushman & Wakefield and many more. Digsy has over 35,000 properties listed on its website across the USA and has helped tenants & buyers acquire properties in excess of $100M in value. 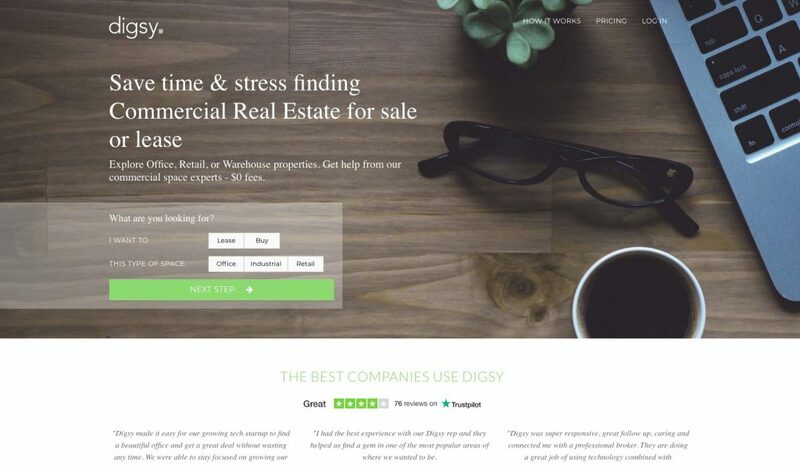 Digsy is one of the highest rated commercial real estate listing websites on the internet. It’s 100% free to list or search property listings. 42 Floors is a commercial real estate listings search engine. They aggregate CRE spaces for sale, lease, sublease, and coworking throughout the United States. Brokers can add their listings for free with contact information for a limited time. 42Floors also has a paid Elite program with products for listing agents and tenant reps with over 100,000 active listings Nationwide. 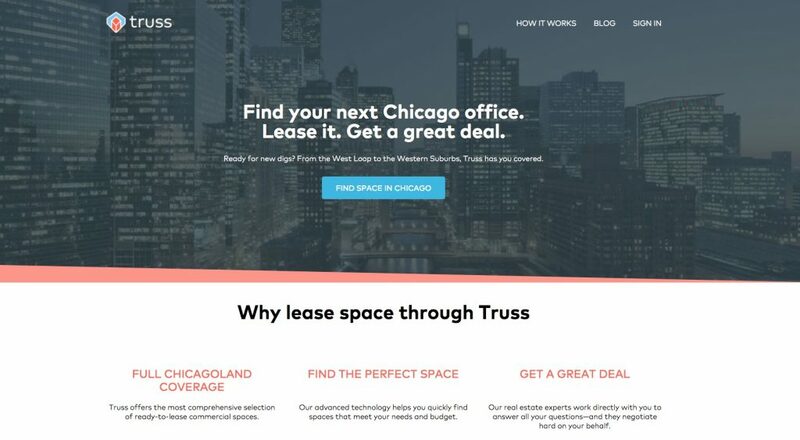 Truss focuses on making the office search easier for potential tenants who are looking for office space under 10,000 square feet. Truss also uses a chatbot to help tenants find the right office spaces for them. 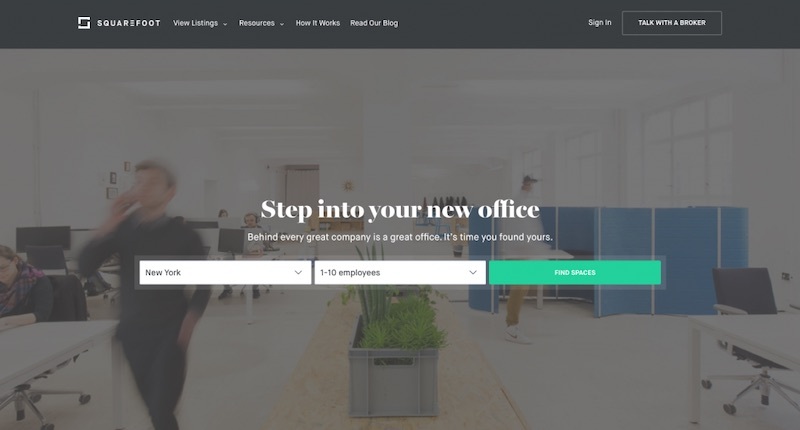 OfficeSpace.com specializes in all types of office space, including large scale space, smaller offices for independent businesses and coworking spaces. The site has listings in most major US cities and users can search by city or by state. The site offers both basic and exclusive listing services. The basic option is free and includes unlimited photos, floor plans and brochures, while the Featured Listings services starts at $39.95 per month with options for volume discounts. This provides real time connections with tenants, broker profile upgrades, and featured listing placement. Commercial MLS features commercial properties from eight counties in Washington and Oregon. They have gathered 20,500 properties with 3,850 current member brokers and 1045 offices. Properties include a number of different types of commercial options. An application is required to join as an office, associate or appraiser. 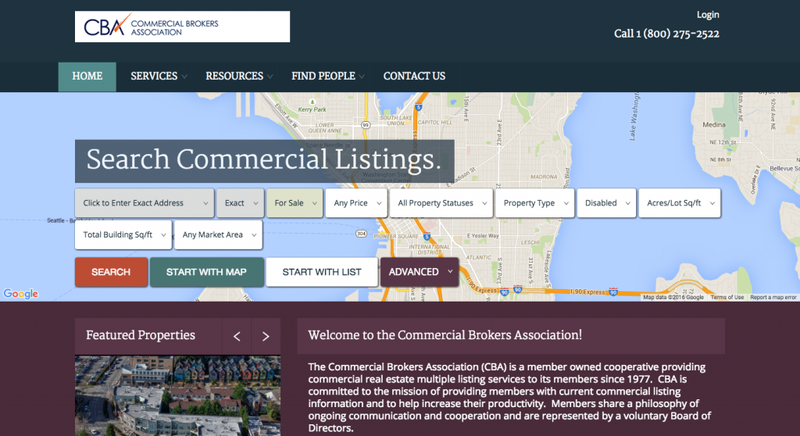 There is a $350 fee to join the Commercial Brokers Association that runs the website. 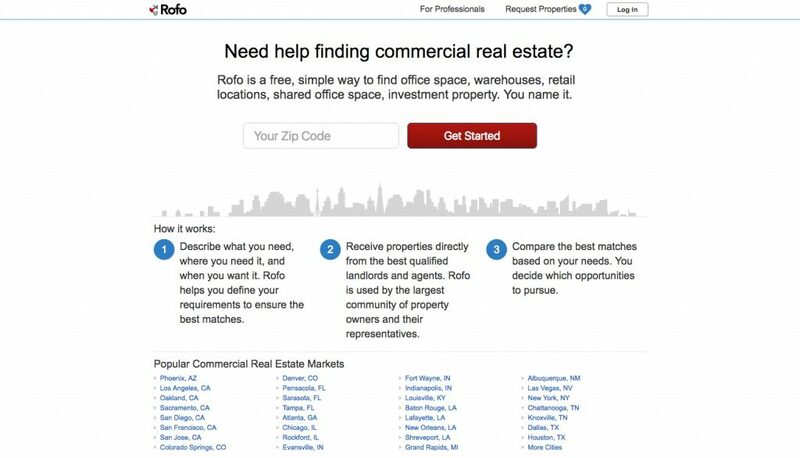 Rofo offers a zip-code based search tool for office space, warehouses, retail locations, investment properties and shared office space. There is space for tenants to list their needs as well (with 30,000 current listings), and a list of the top commercial real estate markets from around the country. Currently, Rofo’s listings include properties from 4,265 cities totalling 1 billion square feet. Rofo offers two membership plans. The Rofo Pro plan costs $59 per year for a single property listing in one county and you can accept up to four leads. For more robust listings, you can pay $45 per county per month for unlimited leads in the Rofo Pro Unlimited Plan. The Square Foot serves office space listings throughout the country, with a focus on 12 major cities that they have the largest reach into. There are currently between 250 and 900 listings in each of these major cities and fewer in many other cities, for a total of roughly 10,000 listings across the site. Pricing for listings is not provided on the website, but there is a form to submit your listing and you’ll receive a direct contact from the Square Foot team. 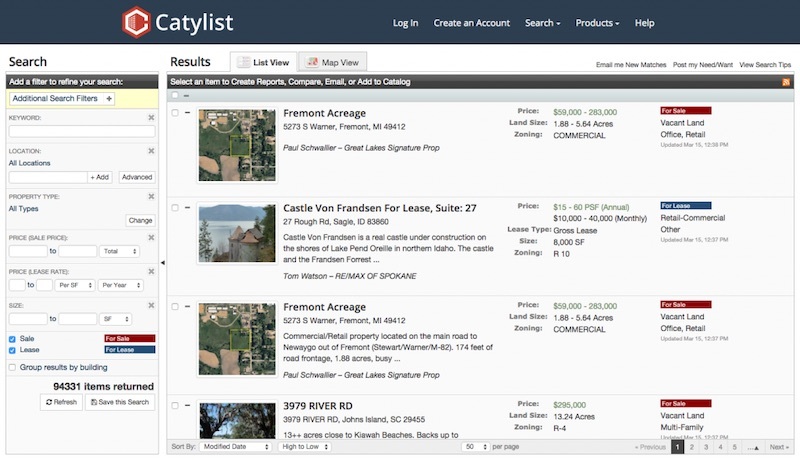 Catylist is designed to provide services for individuals or companies looking for office, industrial, shopping, retail, land, multi-family or hospitality properties. With thousands of listings from across the United States in these categories, there are a lot of options here. Free Basic Membership allows you to search the listings only. For listing your own properties, gathering leads or using the marketing tools including in the site, you’ll need a Full Access Membership which starts at $50/month. Total Commercial has been providing commercial real estate listing information online since 1995. They position themselves as a full-featured commercial real estate listing service without the high-price hassles and publishing listings costs $90 per year per agent. CityFeet, owned by CoStar, has listings for every state in the Country, but is primarily focused on New York City with custom search built for New York neighborhoods and boroughs. Listings include office space, retail space, industrial space, and other types of commercial property. In New York alone, they have 13,200 listings available. Plans are available monthly or quarterly, with the Standard plan starting at $99/month and the Platinum plan which includes access to their partner network and top search placement, starting at $316.65/month. 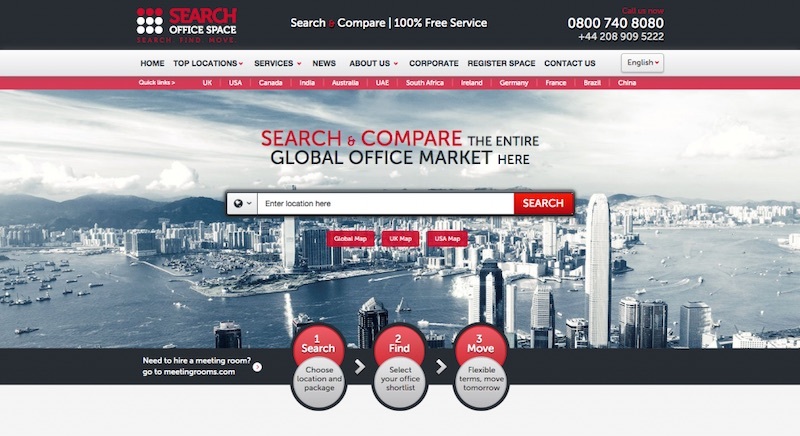 SearchOfficeSpace is a comprehensive office space search engine with a global focus. The homepage allows you to break down your search globally, for the UK or for the US. With a portfolio of 10,000 business centers and 50 consultants around the world, they strive to make connections or offices, shared offices, virtual offices, conference space, light industrial and virtual offices. Search Office Space acts as a broker rather than a search engine from a monetary perspective. That means there is a 10% rate charged for successful leases. Showcase, owned by CoStar, has a US site and a UK site, which you can quickly switch between on the homepage. 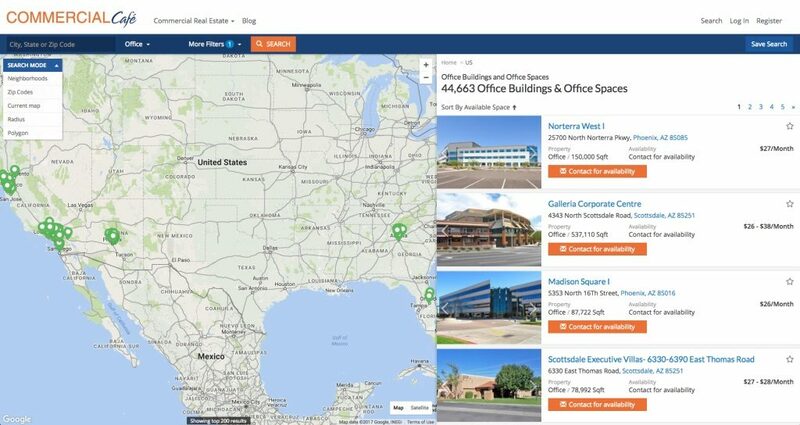 The search engine allows you to search for all types of commercial real estate including office, industrial, retail, multi-family, and land with options to buy or lease. Focused on the US and UK, there are thousands of properties to review. 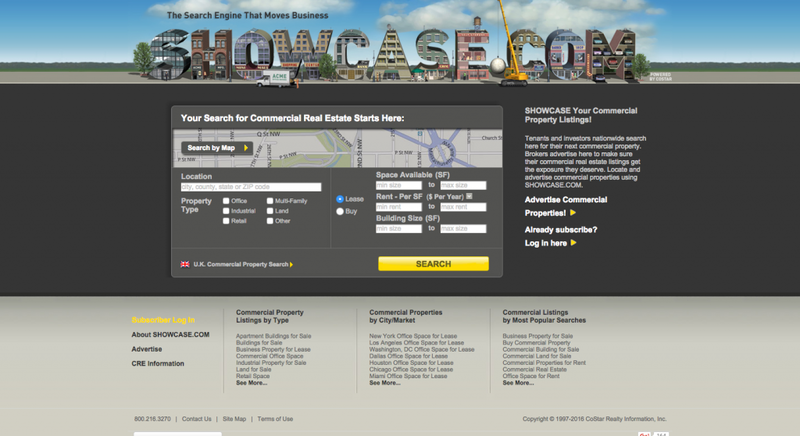 It is free to list your properties on Showcase.com, though there are several advertising options to feature your properties, build out custom profiles, and more to feature your properties. You must contact the company to get rates. The Broker List (tBL) is the CRE community’s first free online platform for finding brokers, deals, services and vendors. Verified members get access to share their listings, wants and transactions, via social media, e-blasts and RSS feeds. Features include easy migration of data via listing upload tool and concierge service to add and update teams and an internal messaging system. RealNex‘s Marketplace portal offers a free alternative to list and search a growing nationwide portfolio of property offerings. Built upon the 25-year legacy of PropertyLine and the innovative technology of Buzz Target, the MarketPlace launches with 250,000 listings across North America, totaling $450 billion for sale and 4.7 billion sf for lease. LDCRE (Leavitt Digital) enables brokers and owners to increase local and global reach on listings through LDCRE’s national and international listing syndication platform into city based news websites. It allows brokers to list their properties in one location and have it distributed through a long tail of local listing platforms. Craigslist is one of the largest listing engines in the world, with tens of thousands of listings for every major geographic region in the world. In the Office & Commercial property section you’ll find a collection of listings for most major regions. Listings are free in this category as well. 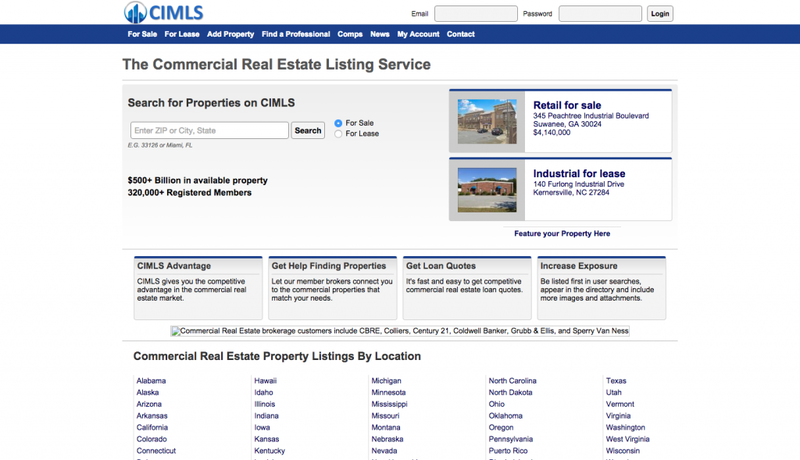 With more than 320,000 registered members and $500+ billion in available property, CIMLS (the commercial investment multiple listing service) is a large commercial real estate listing service with all types of properties, throughout the united states. From land to retail, office and multi-family properties, there is a bit of everything on this search engine. A basic plan is free and allows you to submit listings to the site, or you can upgrade to the $20/month gold membership which allows you to include additional images, documents, and lead generation tools in your listings. 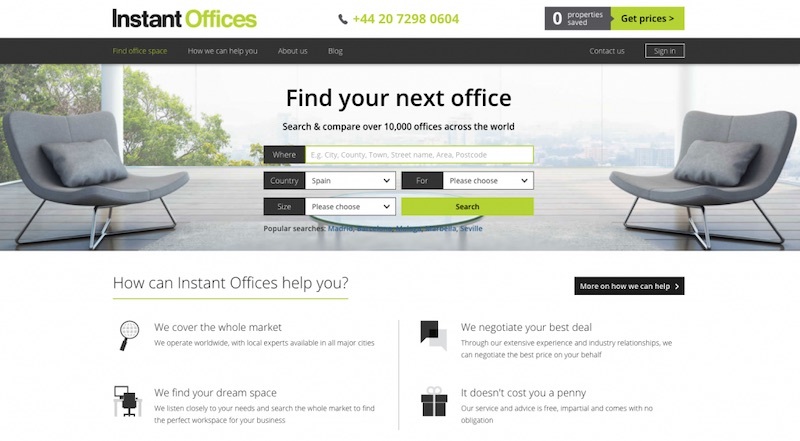 Instant Offices has a listings of office spaces around the world, with top searches localizes to the United States. There are currently 8,200 offices in their listings, which include general office space, shared office space, managed office space, light industrial, and other general office locations. Instant Offices charges a success fee and does not provide pricing or listing information for agents or brokers on their website. You have to contact them directly to learn more about partnership or operator connections. 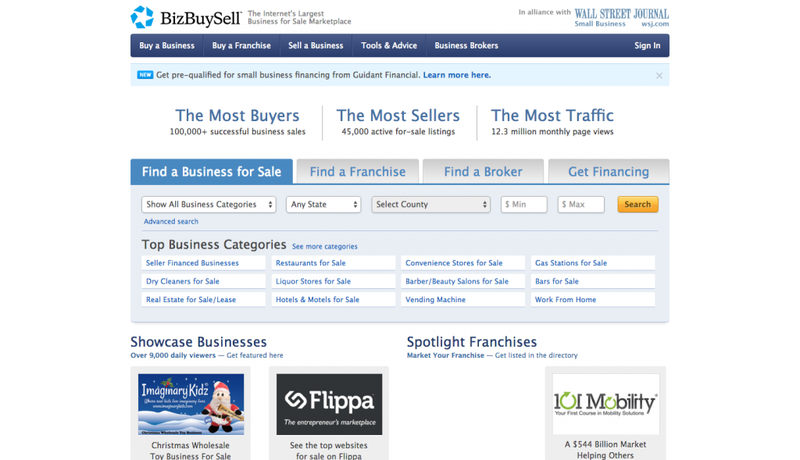 BizBuySell, owned by CoStar, has 45,000 active for-sale listings of businesses including individual locations and franchises. The site includes several features such as broker matching and financing assistance for those interested in investment. If you are selling a property, a basic ad costs $49.95/month for 6 months and a showcase ad costs $69.95/month for 6 months. Land and Farm, owned by CoStar, specializes in farm land, ranches, commercial and residential property with land attached. Currently, the site has 490,200 listings across all categories and locations. Organized by state and with several hundred properties minimum per state is a substantially sized search engine. The cost to advertise on the site is $24.95/month for the standard subscription or $49.95/month for the premium subscription, which offers a promised 4.4x boost in exposure. Whatever your needs, there is likely a commercial real estate listing service or search engine available to meet them. The above list will provide the necessary information needed to choose the sites that best fit your needs and budget for those looking for alternatives to LoopNet, CoStar or (now liquidated) Xceligent. Thanks for this great list and please note that http://thebrokerlist.com is free for its members and is supported by its awesome line up of Marketplace Advertisers!! Just wanted to make sure people knew of us too! Thanks for doing this blog Bob. Just seeing it now for the first time!! Awesome list! Please also see an up-and-comer, REI Free Classifieds, the real estate investment classifieds: http://ReiFreeClassifieds.com. http://Www.Brixio.com has an all new approach to this coming soon! Stay tuned! Have you checked out http://www.keyvon.com? Its the only site that has commercial real estate valuations for all properties. Please take a look, would love your feedback. Great article! Thank you! Great list! Definitely downloading the PDF list. Also, some surprisingly good links in the comments. Thanks for this, very useful. I work for Loopnet, give me a call and I would be more than happy to help you figure out what solution works best for you. A quick comment because I understand that it can be kind of confusing on where to put your listing up. 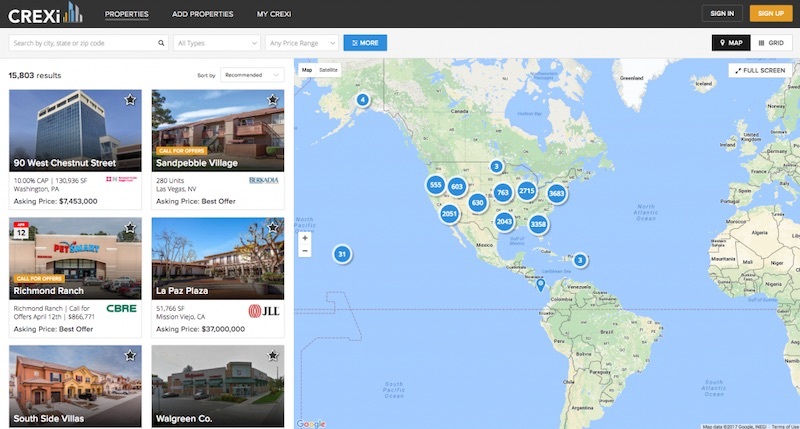 CoStar handles the information for all commercial real estate. Loopnet is a public facing platform for members to list their properties for the general public to see. 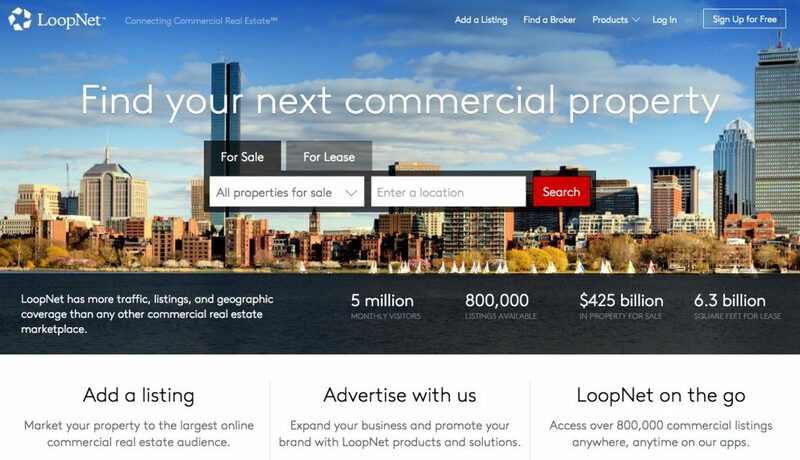 Please give me a call at Loopnet so it can reach an audience that surpasses all other commercial listing sites. Hate to bust the bubble, but half these websites are also owned by CoStar. 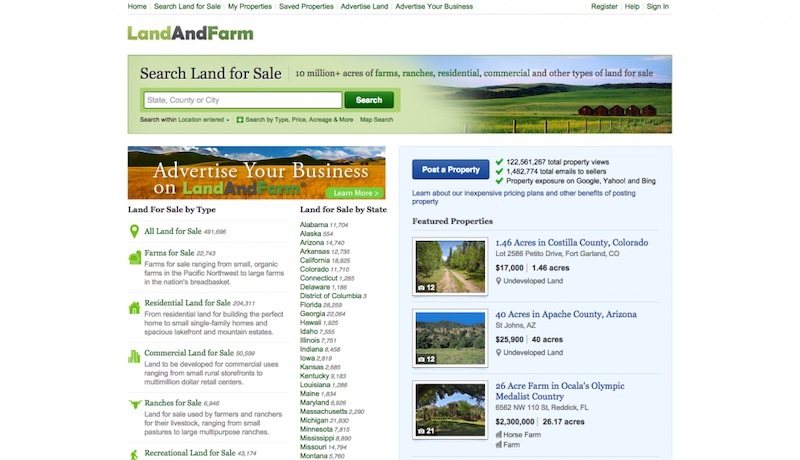 Side note: We own Showcase, CityFeet, LandandFarm, and LandsofAmerica so your listings will automatically be synced over to the correct websites as well. Thanks for the extensive list! http://www.marketpier.com is a new site you may want to check out. The site has 1,000’s of commercial listings pulled from different MLS’s all across California. It’s also free to search and add listings. Thank you so much for including theBrokerList. We truly appreciate the exposure. Thanks for including QuantumListing.com. We’ve gotten many visitors and new registered members thanks to SharpLaunch.com! Thank you for promoting 42Floors at the top of this list. 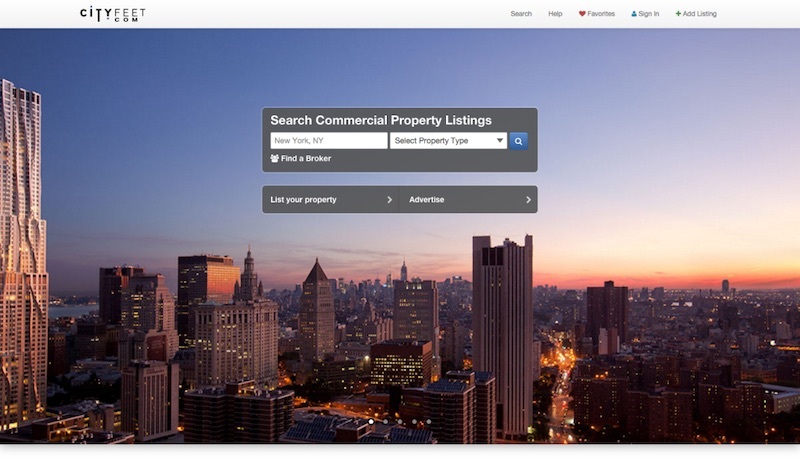 Our mission is simple: To make the commercial real estate search process easier for everyone. Don’t hesitate to contact me if I can ever be of assistance. Aside from a listing platform can you recommend an alternative to Costar for data ? Soles /leased etc? Only, If you are pay member in LoopNet, you will able to search SALES COMP. Is any other free site able to search Sales Comp? Looking for a Solution to Create your Own Commercial Real Estate Website?